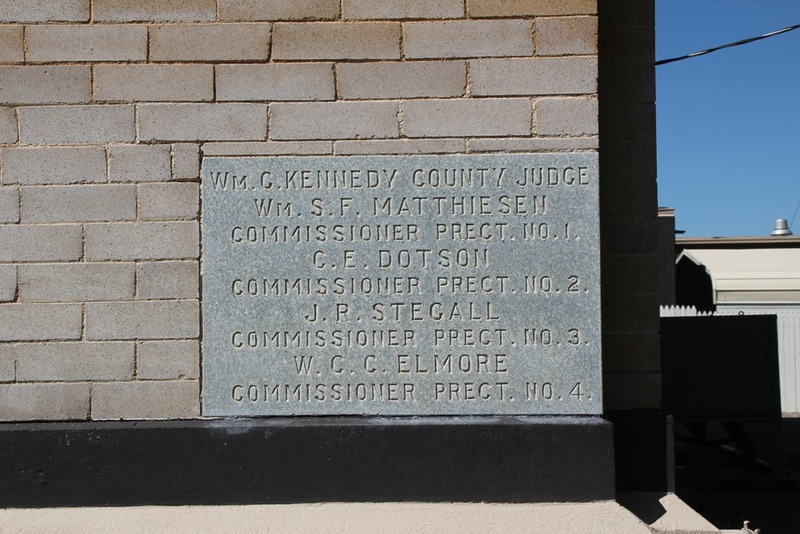 When the Bailey County Courthouse had its facelift last year, I decided it was time to look into its history. 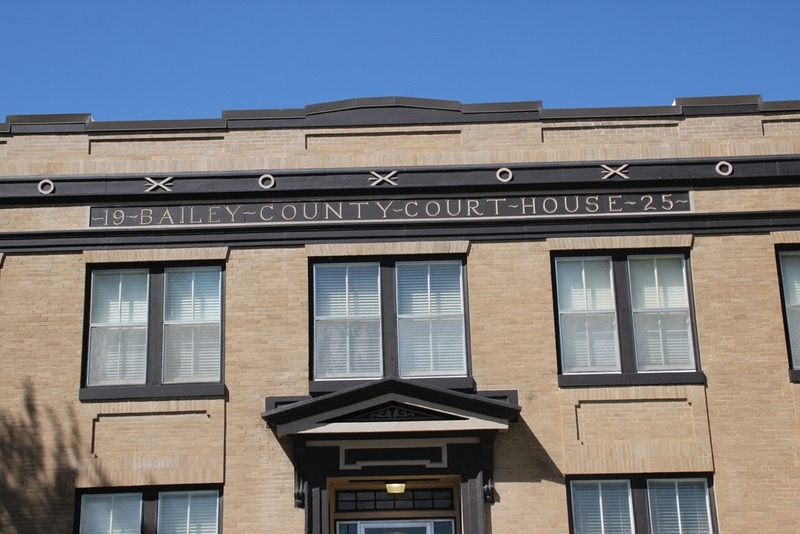 I went to the Internet for some general information and discovered that Bailey County has had two courthouses. 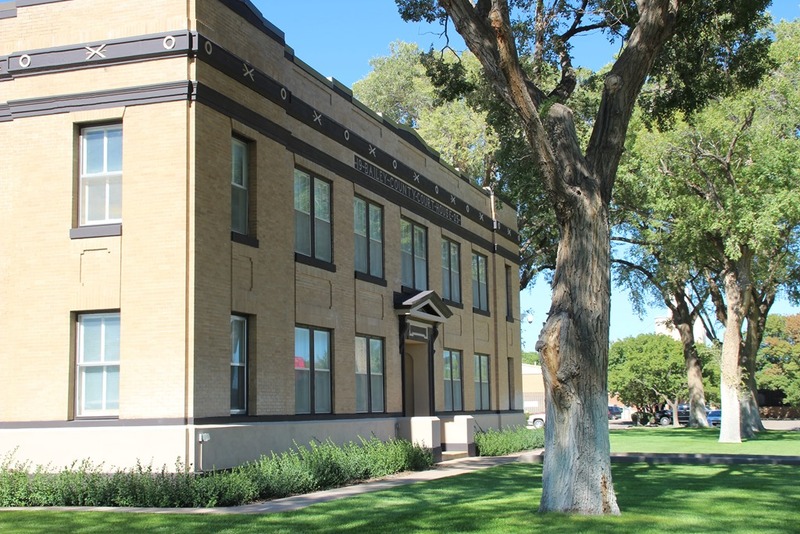 The original, a white frame structure, was built in 1917-18 for $2,450 on the lot where the current courthouse stands now, where E. K. Warren, who deeded the land that would become the town of Muleshoe, wanted the courthouse to be. Mr. W. M. Wilterding, Maureen Hooten’s grandfather, was the architect and Harry Wilterding, Maureen’s uncle, was the general contractor. 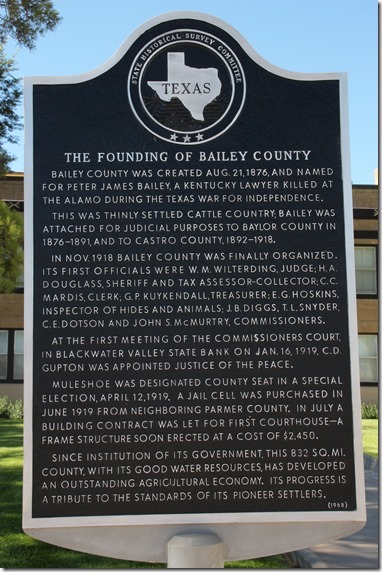 Bailey County was attached to Castro County for administrative purposes then, but by 1918 the county had enough population to organize as an independent county and had its first elected officials in 1919 and later was designated the county seat. 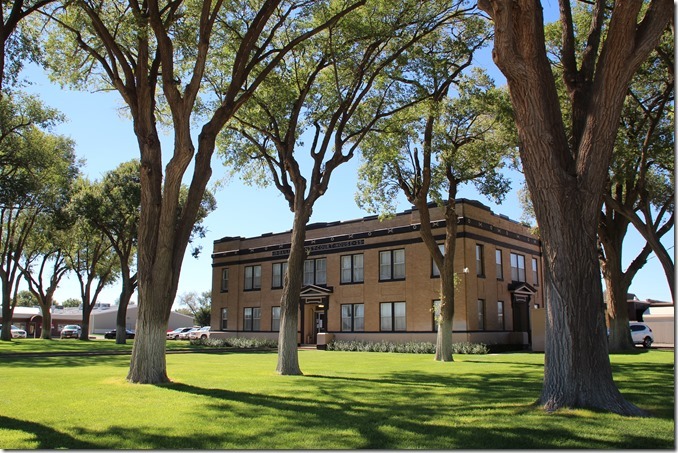 After the election is probably about the time all Bailey County records were brought to this courthouse from Castro County. 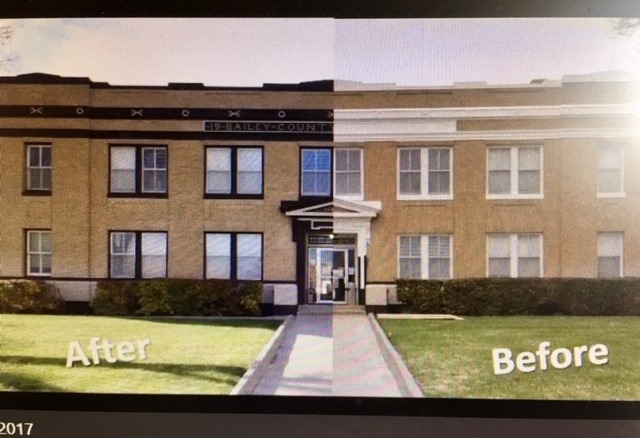 From what I can piece together, after this happened they most likely needed more room and the decision was made to build a bigger, more accessible courthouse. 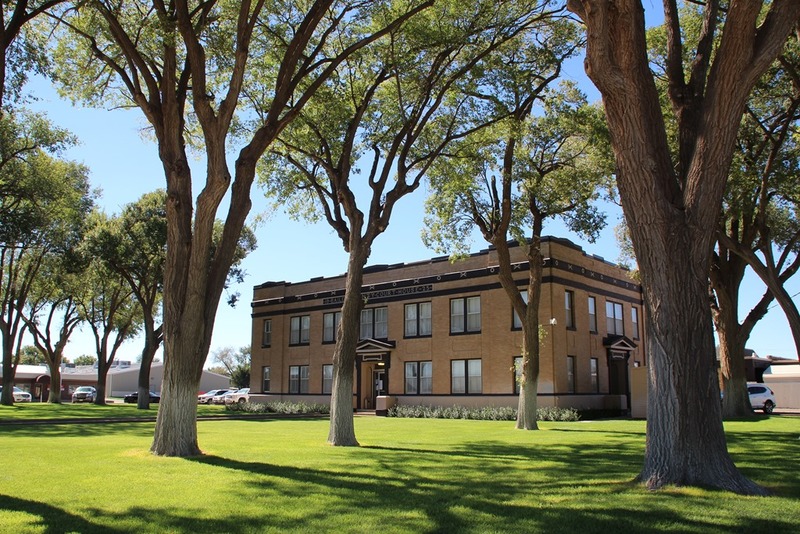 The white frame courthouse was moved across the street to the corner of West 2nd Street and West Avenue C to make room for the second courthouse to be built, which was completed in 1925 at a cost of $60,000. 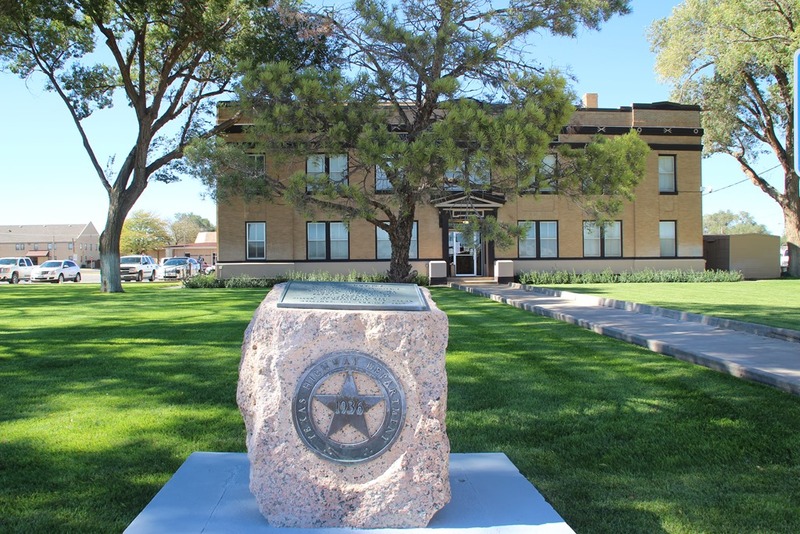 The old courthouse was later bricked and still stands on the street corner diagonally across from the current courthouse. For many years it was the meeting place for the Masons, Rainbow Girls and DeMolays. Now it is used for storage. The day to day business of a courthouse takes place in the offices and courtrooms we are familiar with. 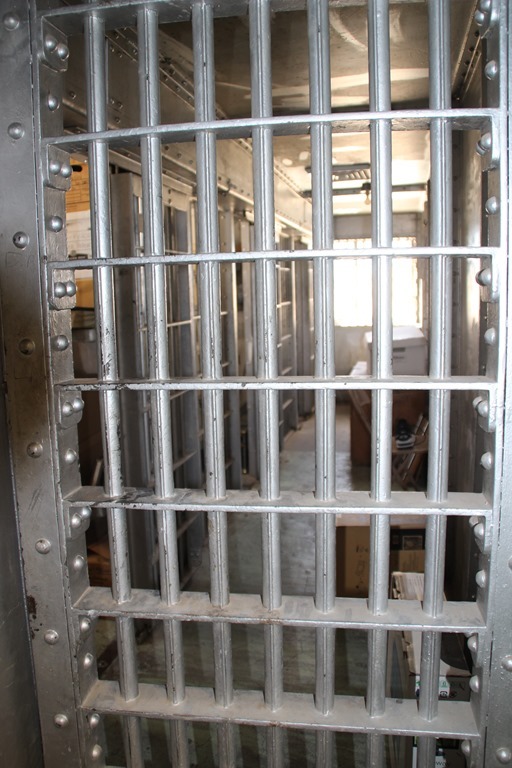 But I had heard stories about the original jail located upstairs in the courthouse, no longer used and never seen by the general public. And considering the age of the courthouse, I knew there had been changes over the years and perhaps little secrets here and there. So I asked District Judge Corky Green if he might be willing to give me a tour of the seldom seen areas of the courthouse. He graciously agreed, and here are some things he showed me. 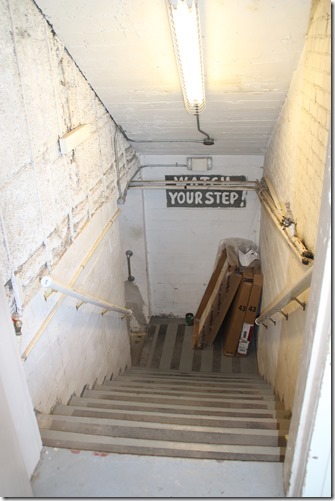 In the early days, there was a stairwell outside on the back of the building that led down to the basement. It has long been filled in, as you can see here, and the door was sealed from the inside. 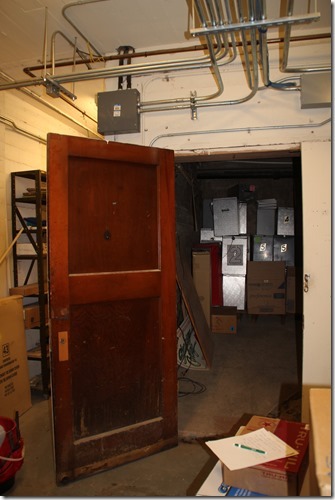 Also note the coal chute where the coal was delivered to the boiler room which was downstairs. Now that area is used for storage and, at least in the old days if not now as well, a place for dominoes to be played when the J.P.s and constables had free time. 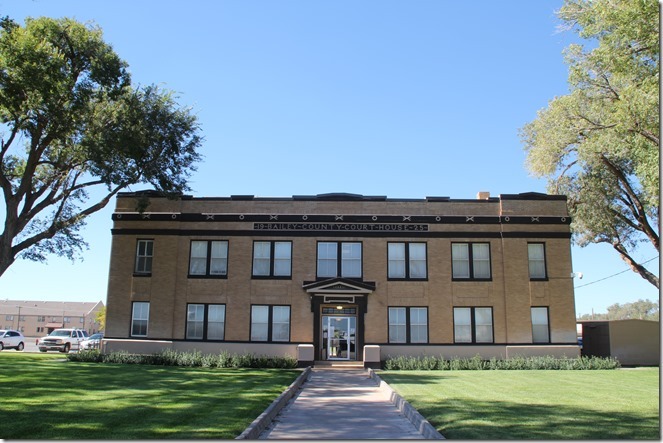 Along with the coal-powered boiler room for steam heat, evaporative coolers were used in the summer as well as open windows. 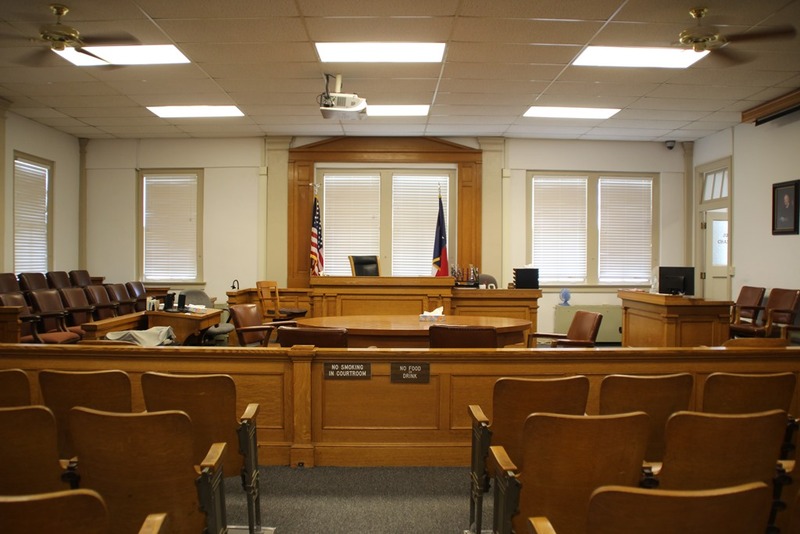 Corky said many times when court was in session and the windows were open, the noise from the tractor-trailer rigs passing by on the highway would bring court proceedings to a halt. After the semis would pass and things quieted down, the hearings would start up again. Central air and heat were added in the early 70s. 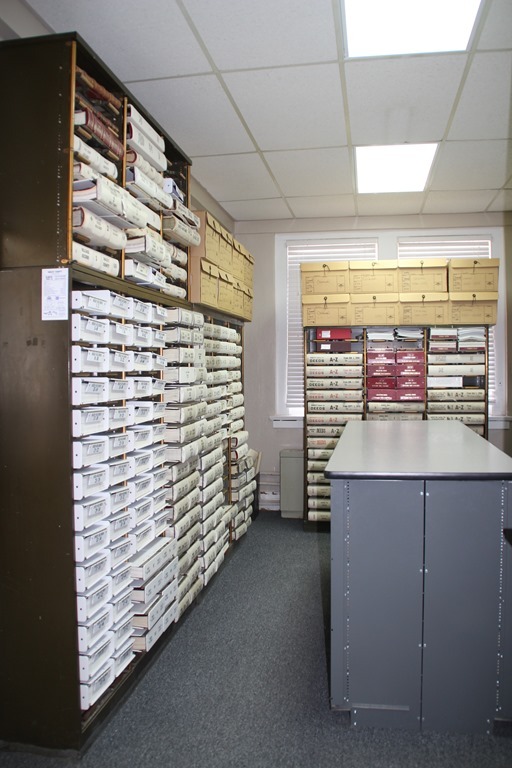 At one time, this room that is next to the county clerk’s office and is now used for the storage of records, deeds, mortgages and such was originally the sheriff’s department and was used by the sheriff, the dispatcher, and deputies. 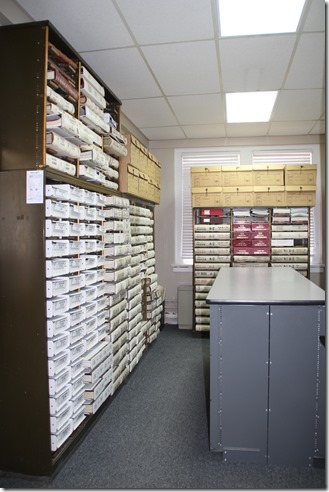 Just as the function of this room has changed, many of the offices have been moved, combined, or separated over the years, so the first two floors have changed over time. For example. 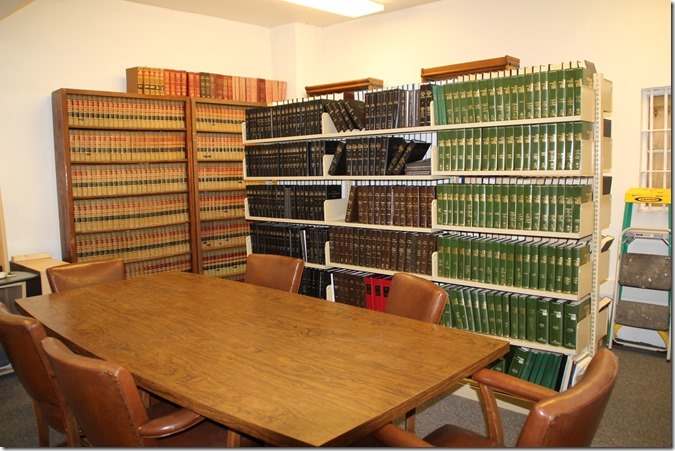 the tax assessor/collector’s office was intended to be a county courtroom. Doors were moved from one office to another. 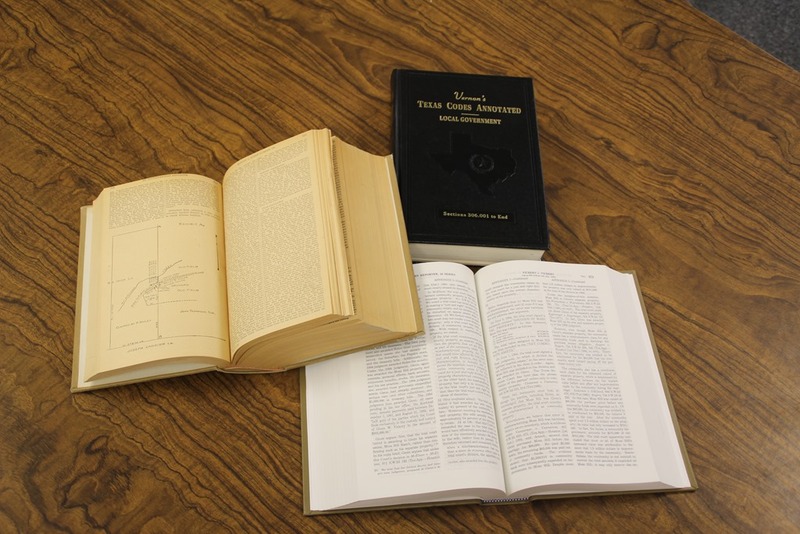 The office of sheriff and tax assessor/collector were combined until 1956 and then made separate assignments needing separate elected officials and offices. 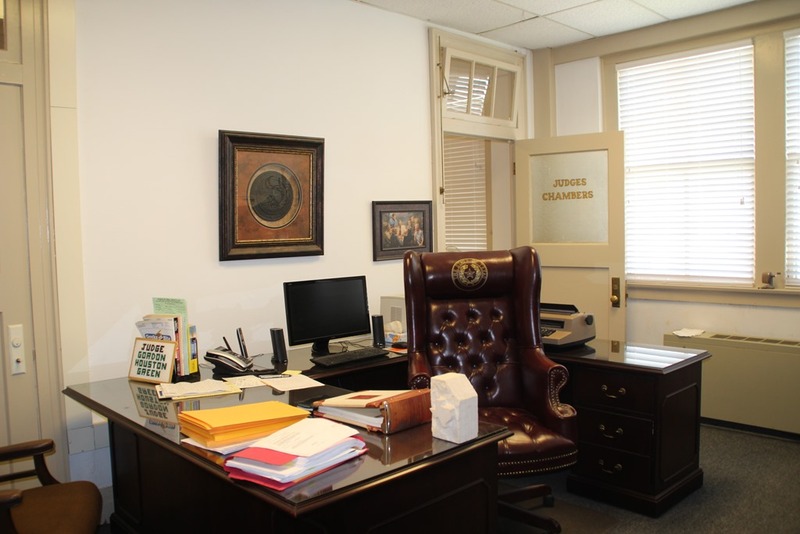 The county and district clerk duties were combined until 1960 when they were separated into two separate elected positions, also calling for more offices. 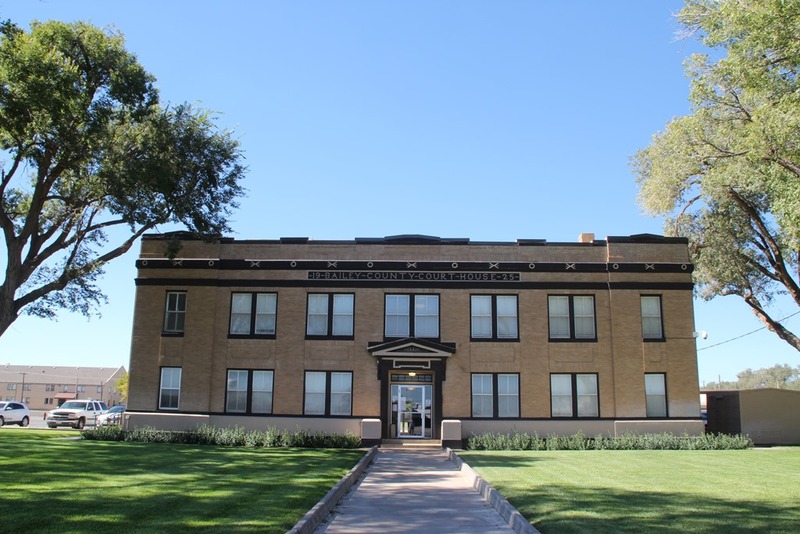 The population was growing and had peaked to 9,000 residents by 1960, which meant there were more records to keep and more space needed to house them, so adjustments were made along the way. In this same area of the second floor is the door and stairs leading up to the smaller third floor. There you will find the old jail The stairs are narrow, steep, and winding, and Corky said the general understanding among the peace officers was that if you were bringing a troublemaker to jail, make sure you had any problems under control before you tried to take them up the stairs. 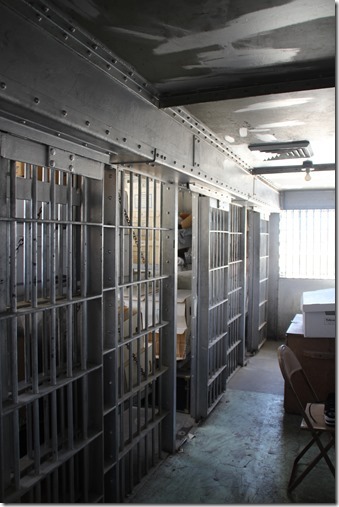 The old jail looks like something out of an old western movie, heavy, bleak, and uninviting, with bunk beds, a toilet and sink. The beds look more like shelves and are now used for storage. 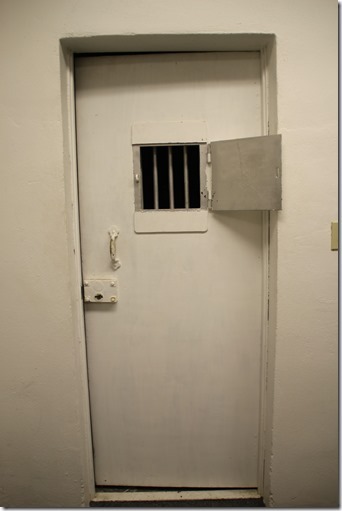 They were set up to hold four inmates per cell. This cell looks like one that would be used for solitary confinement, and maybe that is what it was intended for, but Corky used it for storage of extra mattresses and blankets so they wouldn’t get torn up by restless inmates. It does, however, help create a stark, old jail atmosphere. From 1968-69 when Corky worked as a deputy sheriff in the summers, he ran the jail and was in charge of feeding the prisoners. The Crossroads Café contracted to cook the meals, and it was Corky’s job to get the meals to the jail: a breakfast plate and a shared jug of coffee in the morning and a dinner plate and a shared jug of tea in the evening. 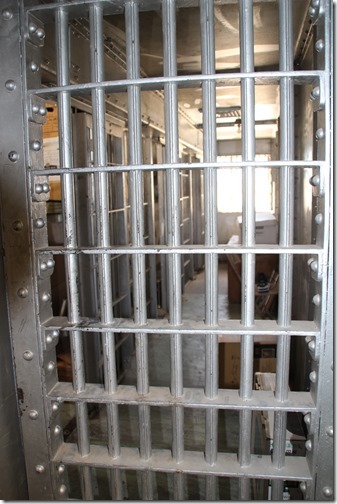 Each inmate had their own cup for the drinks. The old jail was replaced by the new jail in 1969. 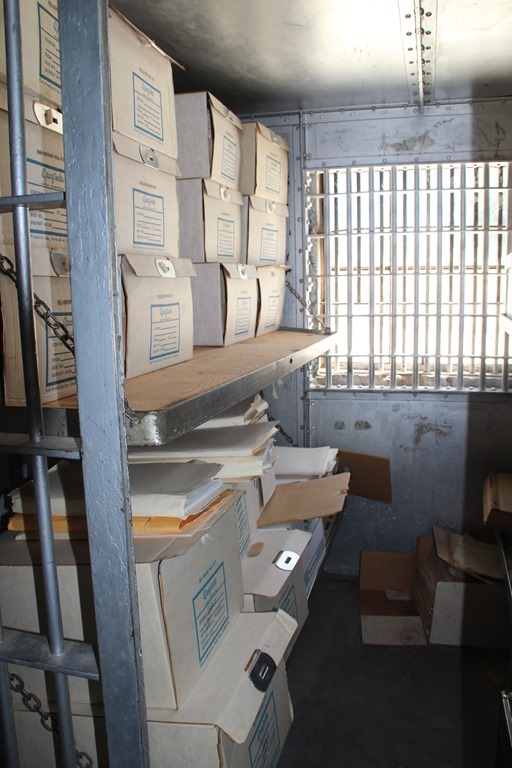 The open area at the top of the stairs adjacent to the jail cells is now carpeted and full of books, but originally it was used to house the rare woman prisoner or juvenile inmates. The raised area you see here was an enclosed bathroom, complete with a shower, toilet, and sink. When there was no woman or juvenile in custody, if inmates wanted to bathe, they were allowed to do so. 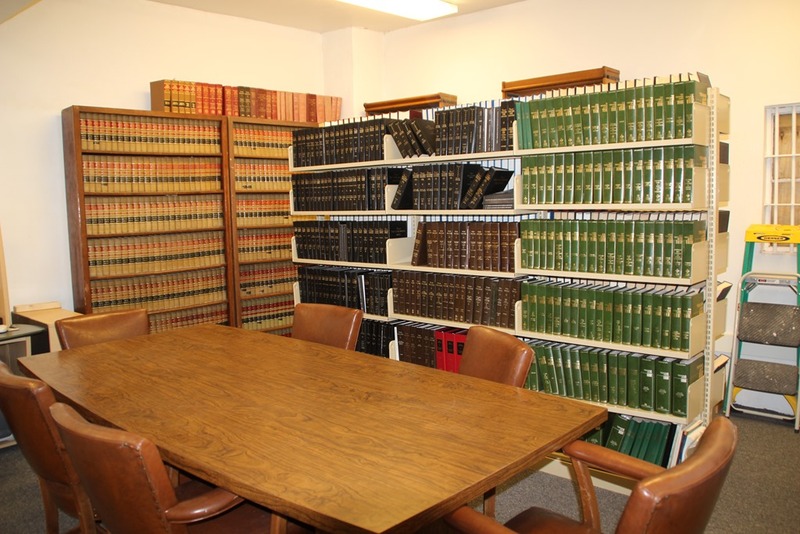 The rest of this meandering room is now the law library filled with a large work table and law books, many of which were donated to the county in 1981 by Jack Young when he became district judge. Like most everything else today, the Internet has taken the place of the information these books hold, but occasionally the books are still put to use. 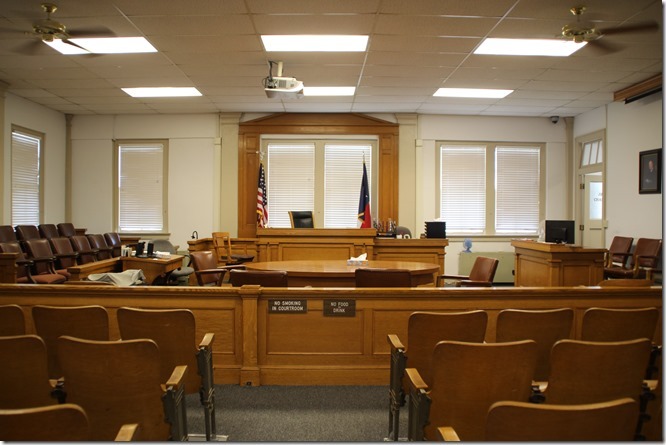 The courtroom is one area that has pretty much stayed the same. 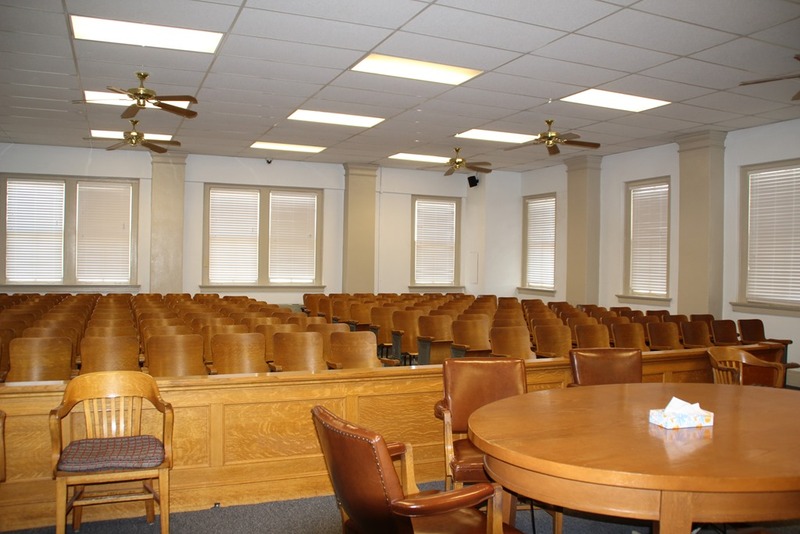 Except for the chairs for the jurors, everything in the courtroom is original. Well, not the ceiling fans or the ceiling itself. 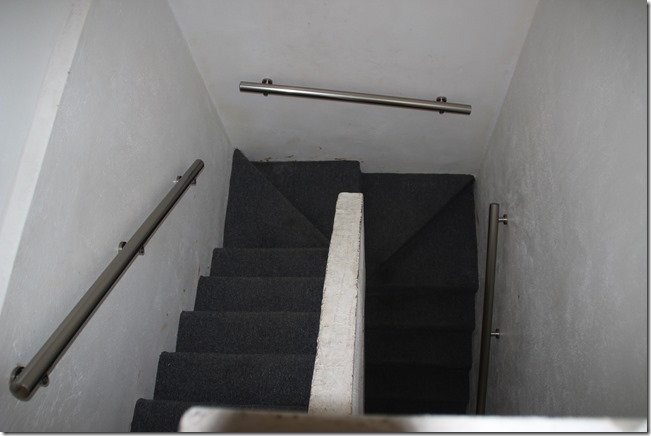 All the ceilings were changed in early 70s when they put in the central air and heat. Corky did say that the bar separating the spectator seating from the front of the room, the bench, had been moved to allow for easier passage in front of the seats. 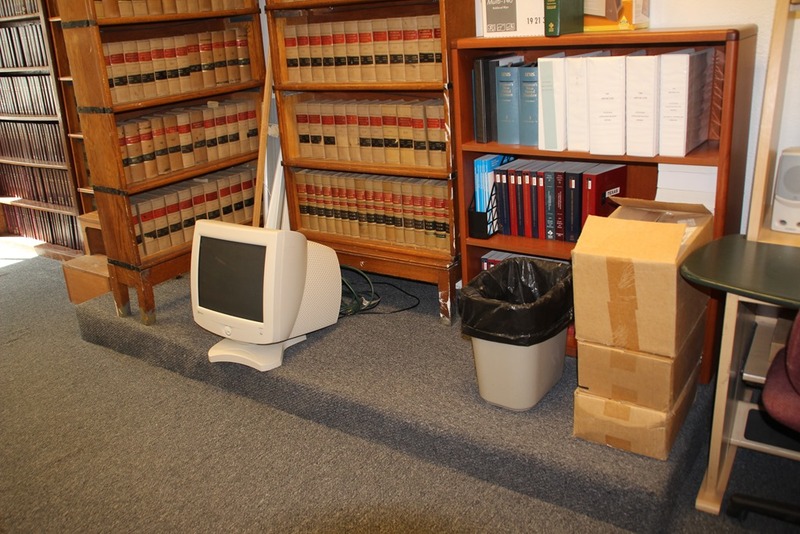 I didn’t take a picture of the marble stairway leading up to the courtroom and second floor, but that, too, is unchanged, the original marble that came with the building. The judge’s chamber is off to the side of the courtroom. Corky has served as district judge since January 1, 1999. After our tour inside the building, we stepped outside for points of interest. 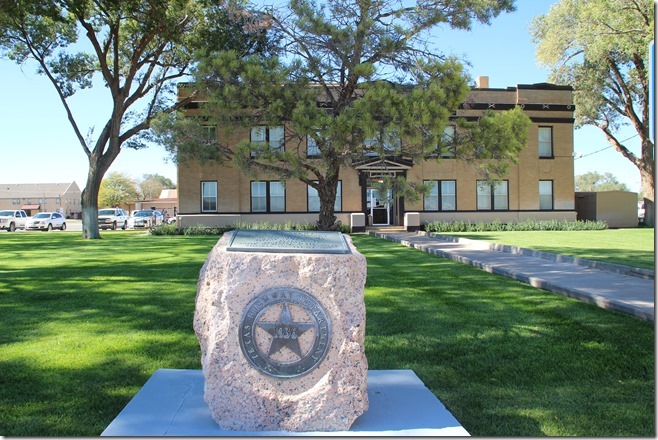 The historical marker tells some of the information I have already shared with you. 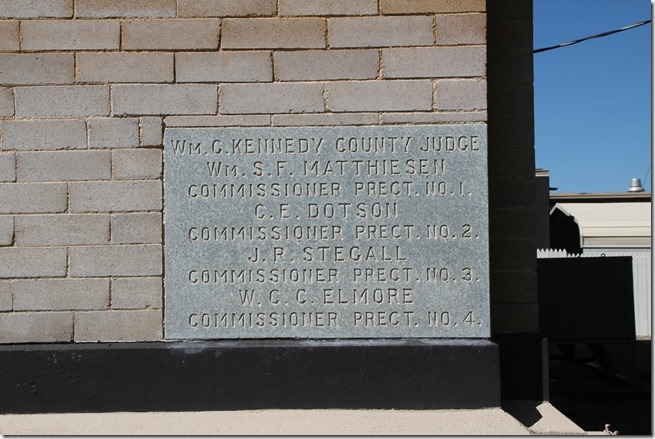 The cornerstone supplies historical information relevant to 1925 when this second courthouse was completed. 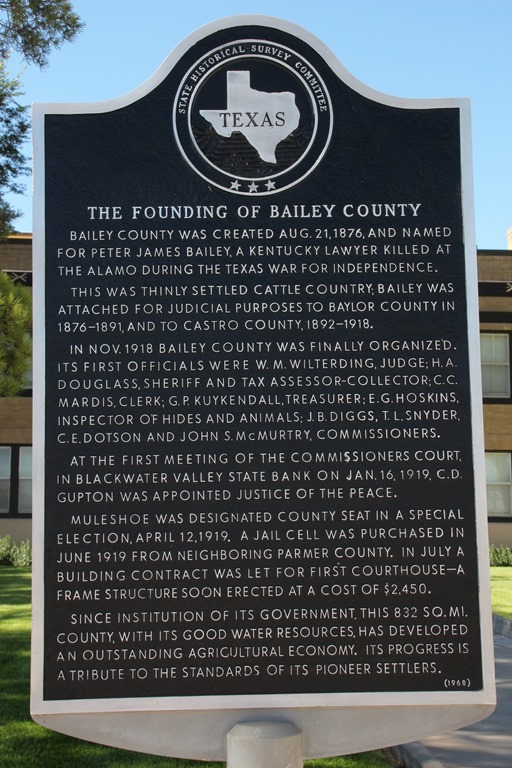 This small monument in front of the courthouse honors Peter James Bailey, who died in the battle of the Alamo and for whom Bailey County is named. To the other side of the walkway is a Bailey County veterans memorial. Remember the facelift I mentioned earlier? 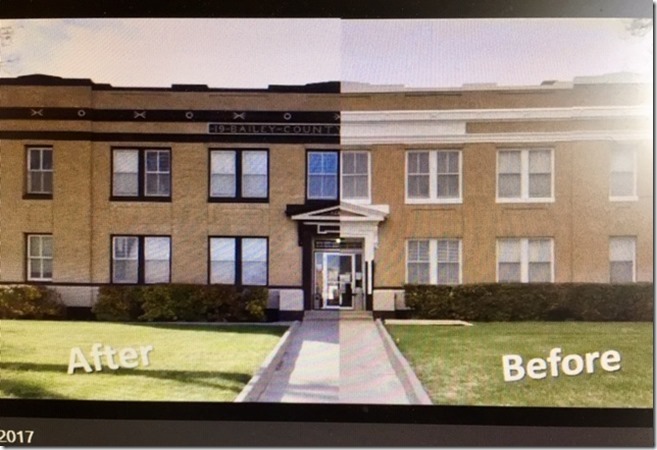 The picture below shows a nice contrast between the before and after of the freshly painted trim that gave the courthouse a new look in March of 2017. 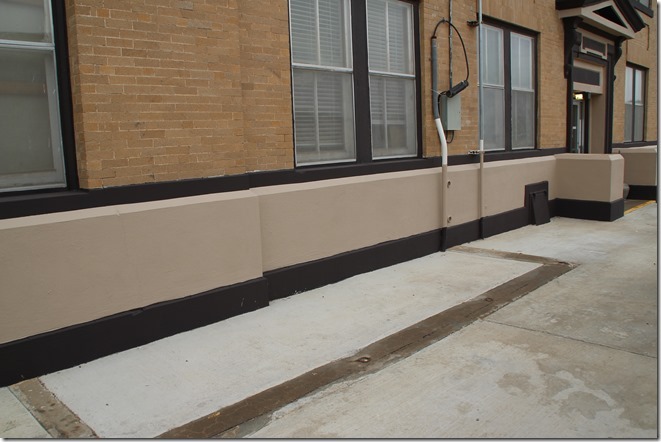 County Judge Sherri Harrison, Shonda Black, and Michelle McDaniel were the driving force to update the outside of the building with new paint and new shrubbery. 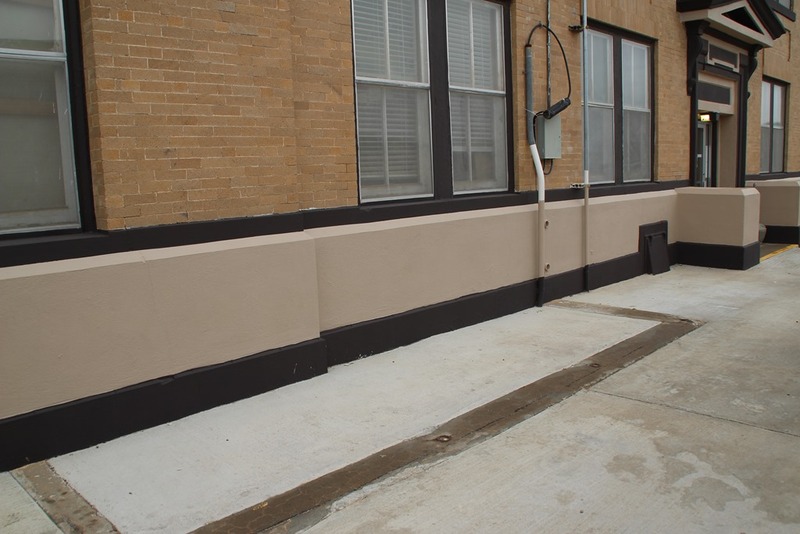 Judy Coffman shared knowledge gained from twenty years working at Higginbotham’s and suggested the right kind of chocolate brown paint to be ordered, Joe Garcia and his crew were hired to do the painting, and Bryce Thomason removed the old, worn-out bushes and helped select the new ones and inmates planted them. This picture was taken, however, before the new bushes were planted. Those you can see in the next picture. 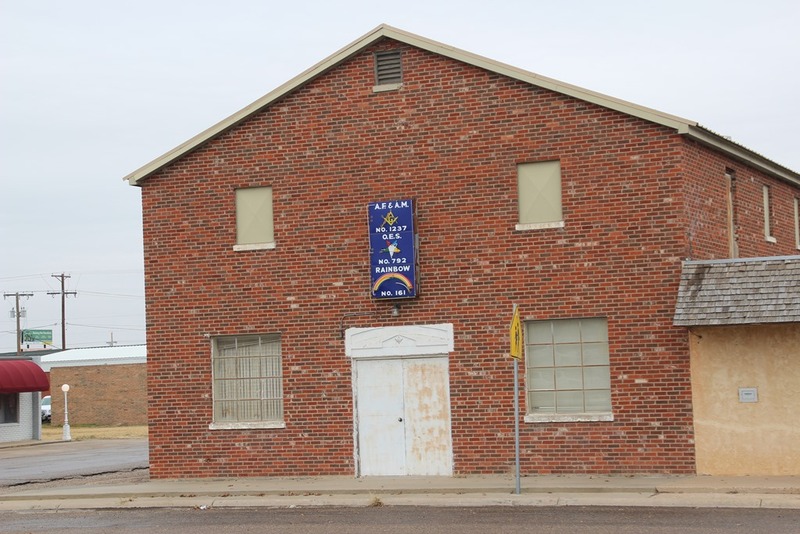 Inquiries have been made as to the significance of the X and O design on the building with no results. When the trees were planted has also been researched with no success, but all evidence points to the trees being there for a long time. Squirrels that used to be on the courthouse lawn have long been gone, but Sherri said two owls do hang around from time to time. From 1925 to 2018 makes the courthouse ninety-three years old. 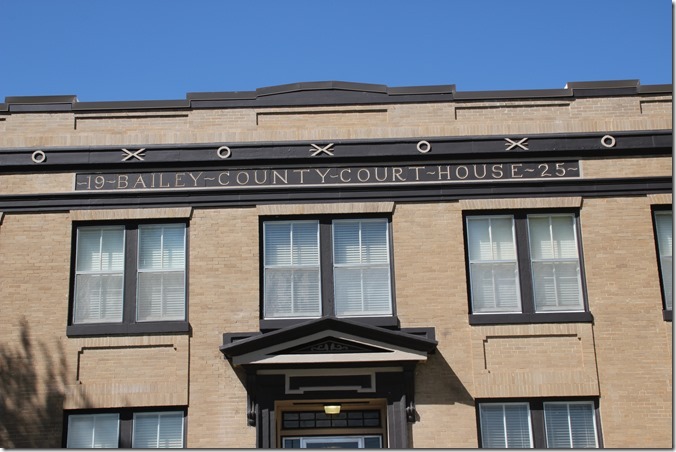 It has served Bailey County well; no reason to think it won’t continue to do so in the future. My thanks to Corky Green, Sherri Harrison, Magann Rennels, Gayla Gear, and Gil Lamb Advertising for their help with this story.